I was in LA—Beverly Hills actually—for a weekend and decided to take a looksee around The Getty. I don’t really have much to say about the permanent collection but I was very pleased to see their show of Chris Killip’s In Flagrante. 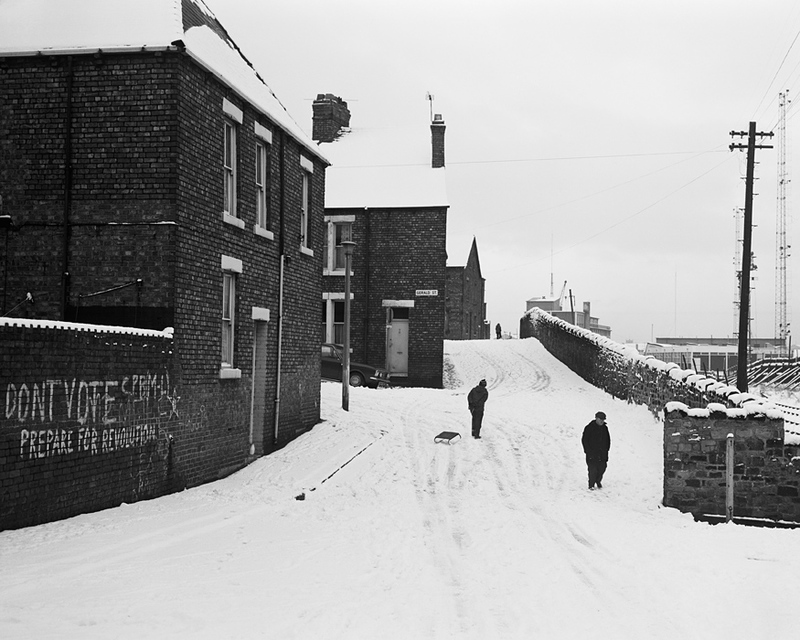 Killip’s documentary photos around northern England in the 1970s and 1980s are fantastic as just historical documents but they’re also especially interesting in terms of how they were made. Instead of the typical social documentary unobtrusive Leica rig, Killip shot with a handheld Linhof 4×5. That’s just insane to me in terms of both how it severely limited his ability to blow through exposures and in how it’s anything but unobtrusive. The large negative meant that he could crop and rotate images without suffering any grain issues on the print. There was a wonderful section of work prints and contact sheets which demonstrated how he worked through his negatives before creating prints. And the amount of access he had with that large camera demonstrates the degree to which he’d embedded himself in these communities. This isn’t a photographer parachuting into a place. Killip has gained the trust of these communities—many of which are very private or defensive— and as a reuslt is able to take amazingly gritty but humane photographs as they struggle with deindustrialization and the resulting anxiety which comes from not having an obvious trade to practice. It’s tempting to view these as being about the bleakness of the Thatcher years but Killip’s view isn’t to critique Thatcher but rather highlight the way people are having to survive as their economies collapse and transform into something else. The photos aren’t about suffering or blame, they’re about coping and living and to a certain extent, remembering these jobs and communities before they’re completely lost. We see how people are still working and making ends meet. We see how the kids play and how families stick together. We see how they live and the harshness of their lives deserves our empathy. We also get to look at these in a time when very similar changes are going on in the US. Factories are closing. And if they’re not closing, they’re being automated. Factory towns are dying. As much as “economic anxiety” is often a euphemism for racism there is truth there as well. People don’t know what their next gig will be or where they’ll be able to get money from. Plus a ton of the people being affected aren’t white anyway. One of the best parts of this show though is in how it shows Killip returning to his 1980 project and spinning two additional projects out of it. I love this idea that even if you’ve locked a good project up that you can always come back to parts of it and use those as the cornerstones for something new. Seacoal and Skinningrov are both wonderful little series of photos in and of themselves. They serve to provide context to some of the images in In Flagrante but they also demonstrate how a deep dive and immersion into a community makes it hard to truly delete photos. Instead of being about the general sense of things at the time, these too additional projects document specific communities and how they’re coping with the changes going on. 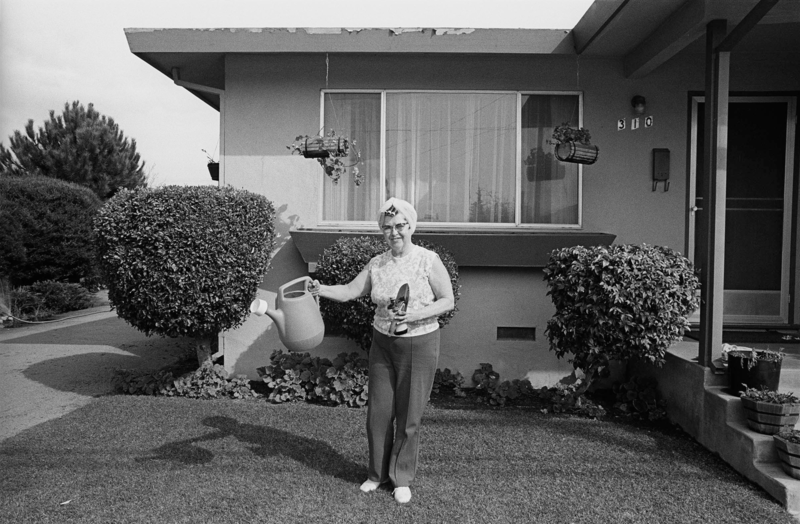 I was sad to miss the Larry Sultan show but I’m very glad I made it up to SFMOMA for the Mike Mandel show. Sometimes it’s nice to just see things that are fun and make me smile. This isn’t to say that Mandel’s work is somehow simple or trivial, just that the concepts are both remarkable easy to grasp and Mandel’s default approach mines the humor. It’s a goofy humor which I really love and, despite being funny, manages to maintain a certain seriousness and empathy for the subjects. I’m not laughing at the photos or the people in them, I’m laughing because of them and what they make me recognize. This is an approach which is sadly lacking in a lot of photography. Seven Never Before Published Portraits of Edward Weston is a perfect example of this. It could easily be seen as a stunt. Or something making fun of Edward Weston—or all these other Edward Westons. But it avoids those pitfalls and becomes so much more. It touches on how everyone takes and consumes photography—each of the Edward Westons supplies a portrait and talks about photography. It touches on the nature of fame and what it’s like to have a name in common with someone famous. It provides a sympathetic glimpse into seven men’s lives. Seven men whose only thing in common is that they share the same name as a famous photographer and were generous enough to share about their lives to a complete stranger. It’s also hilarious. Not because of who those men are what their responses are but because there’s simultaneously an everyman, what if I shared my name with someone famous, thing going on plus the sly suggestion that maybe each of these guys is actually the Edward Weston. I couldn’t wipe the smile off my face when I read each of these and looked at the photos. Mrs Kilpatric is also fun. So simple that in many ways it’s just about goofing around with a friend and neighbor. But the unposed—well, semi-posed—unplanned nature of it all is completely disarming. She’s incredibly trusting of Mandel to let him take her photo no matter what she’s doing or wearing. But the photos are great. They’re the kind of photos that she might not like because they’re a bit silly but which her family members will love because of how they portray her. People in Cars is a similarly straitforward project. One of the things which stands out looking at Mandel’s work is how visible he must’ve made himself as a photographer. Even a series like this which lends itself to surreptitious shooting is very clearly full of interaction. Most of them are people being amused by whatever Mandel is doing when he’s behind the camera. Which makes the few where the subject is upset really stand out in a way which produces a wry smile from me. Myself meanwhile had me laughing in the gallery. I love the Half Dome one (of course there’s a Half Dome one) but they’re all great. Mandel is indeed a goofball. The idea of photobombing his own photos is hilarious. As is the way that the other people in the frame end up having to react to him. Sometimes there’s surprise, other times there’s group acceptance, and sometimes he’s ignored. But you know that everyone in the frame has watched him set up the tripod and camera and is now trying to figure out what the hell this skinny kid with long hair is doing standing with them while the camera is buzzing. You can hear the camera buzzing. There’s confusion. There’s joy. There’s curiosity. There’s all the things that we all do when confronted with a camera. But Mandel is in the frame along with the “subjects” adding an extra layer of bizarreness and humor. It’s fantastic. Looking at how Mandel interacts with the people he’s photographing brings me to his photos of The Boardwalk. * Having just been at Pier 24 earlier that day I couldn’t help comparing Mandel’s photos to Winogrand’s. Mandel isn’t creepy even though many of his subjects are Winogrand-bait. It’s not just that he’s made eye contact or something before taking the photo, there’s a level of interaction which gets a flirting versus a death stare. *The first time I’ve seen an extensive series about a place which I’m super-attached to as home. My kids love going every summer. Just seeing what it looks like in the 70s and how much has, or hasn’t, changed is wonderful from a purely documentary point of view. And yes, a lot of this might be 1960s New York versus 1970s California. 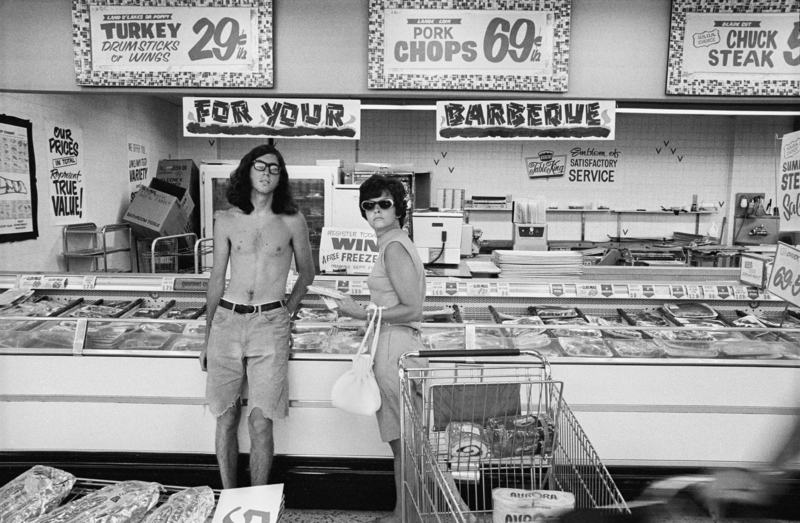 But Mandel was a skinny goofball kid and Winogrand was a larger more serious presence. And it certainly seems like their approaches were also quite different—especially in that Mandel appears to be having fun with his photography. It doesn’t feel like an obsession or quest but instead just messing around and playing with the camera. 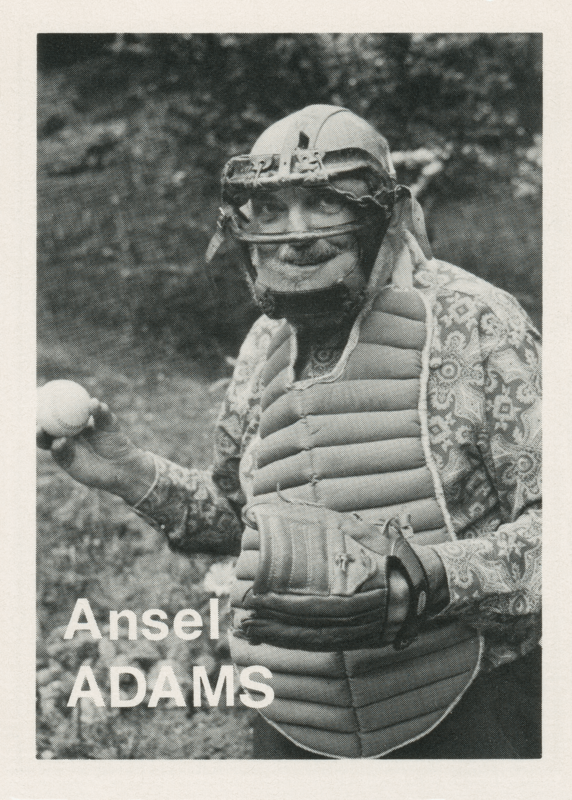 Which brings us to Mandel’s baseball photos. I had a hard time viewing these as a photographer since I was a Giants fan first and those instincts are much more deep-seated than any of my art appreciation instincts. But they’re great. 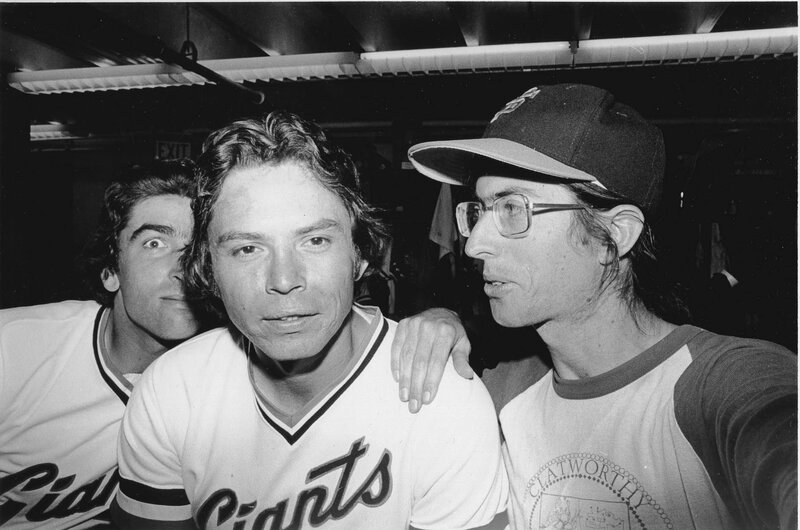 I’d love to spend a lot more time with SF Giants, an Oral History—it’s a shame this isn’t part of the catalog—but just looking at the photos is plenty enjoyable. Mandel again both includes himself in the frame and manages to create an interaction where players are encouraged to be silly rather than serious. The resulting images feel like insider snapshots more than anything else. Part of me wonders whether this approach would’ve worked on a better team—mid 70s to mid 80s Giants were not so good—and part of me feels like he only took photos of the players who were cool with him anyway. In any case, even with everyone having access to social media, Mandel’s photos manage to capture a view which we still don’t usually see. And his light painting images caught me by surprise. This is one of those gimmicks which has been beat to death as self-indulgent Flickr explore bait. Mandel‘s images though show that he understands the game. 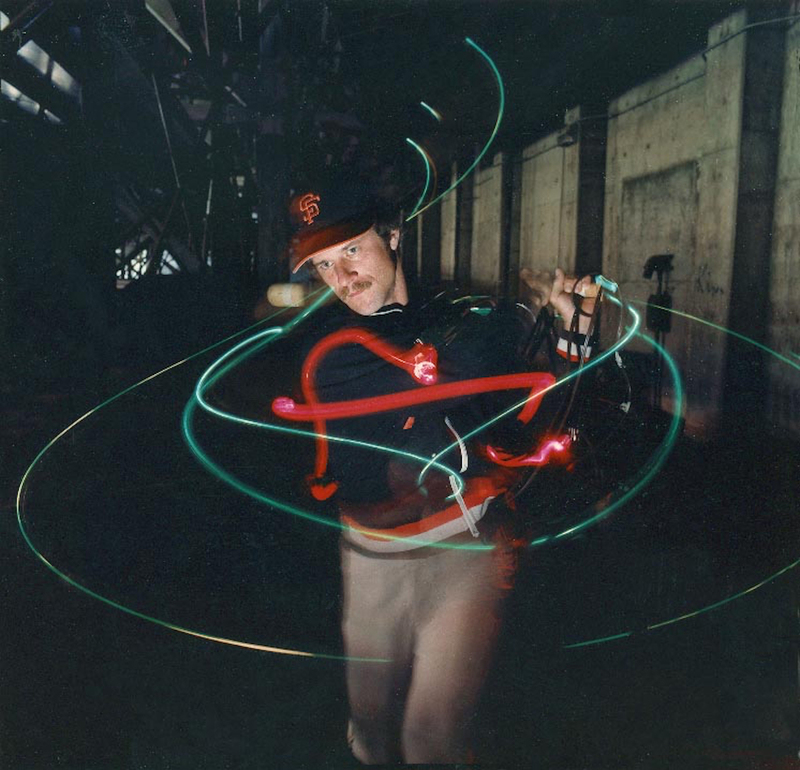 Rather than being a gimmick they illuminate key action traces like how and when a batter twists his wrist during a swing or a pitcher’s hands come apart during his windup. It’s motion capture which highlights important details in the motion. Which brings me to the Photographer Baseball Cards. Aside from Evidence, these are what I knew best about Mandel. I’ve always loved this project but had never really had a chance to look at a complete set before. So many wonderful things going on with these just as photographs without even getting into the baseball card aspect. I love that his range of subjects runs from Ansel Adams to Bunny Yeager. * We’ve got star photographers who everyone knows, photographers’ photographers who aren’t appreciated as much as they should be, and photographers who’ve kind of been forgotten now. It’s very much a proper baseball card set in this way. *Though women are still outnumbered like four to one and the non-white photographers can be counted on one hand. As always, lists are a bad idea. I love that we get to see what the photographers look like. That Lewis Baltz is called “Duke.” That John Divola’s card features him in blurred motion. 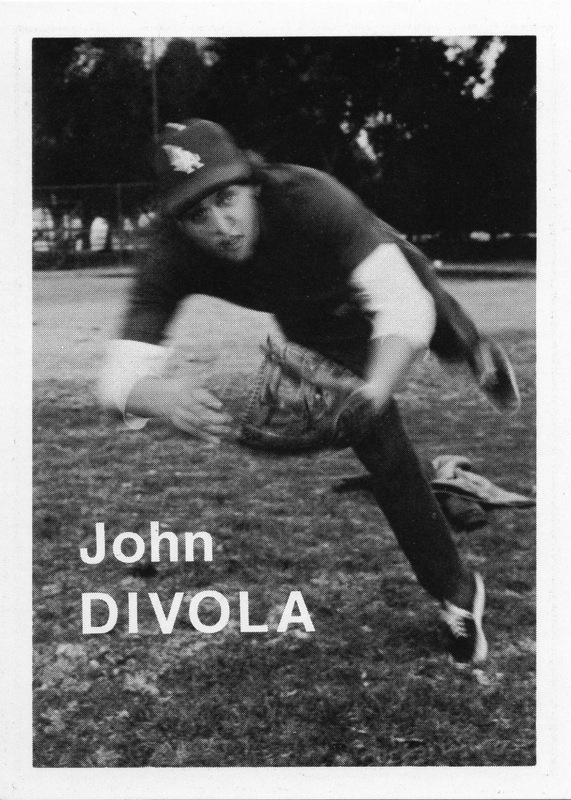 Divola’s card is the best in the entire set in terms of capturing a sense of what Divola was interested in as a photographer—pushing the boundaries of the concept of what a photograph depicts, or should depict in terms of time or reality— while also being “baseball” in terms of its pose and language. I love the way that these are mass-produced offset lithography. Photography, especially art photography, is almost always obsessed with process and image quality. Even in a book we get duotones or quadtones and insanely fine line screens and every attempt to make them look like “real” photographic prints. But these are printed by Topps. The line screen is coarse. The cuts are common. The ink is black only. And that’s not only appropriate but any other option would be just wrong. I love the way that everyone seems to know what baseball and baseball cards are. You can see this especially in the contact sheets where each subject plays with different tropes of baseball posing. There’s a common language both in terms of baseball and baseball cards that we all know. But of course we should know, we’ve been making and consuming these photos since the 19th century. I also appreciate that SFMOMA dedicated two rooms to showing samplings from many of the depicted photographers. This is helpful as both a reminder to people like me who recognized names but momentarily blanked on what they photographed* and an explanation for people who may have questioned whether the subjects of the cards were photographers at all. *Nathan Lyons, Art Sinsabaugh, and Judy Dater in this case for me. Sometimes though the photograph selected by SFMOMA felt like the wrong choice. This sampling isn’t the time to go on a deep dive into a photographer’s work but rather an “explain this person in an image or two.” So yes, I was mightily confused why they selected an black and white Eggleston image to display for him. All in all though, a great show. I knew who Mandel was when I walked in. I just wasn’t aware about how much I liked his work. Also, while I still have concerns about SFMOMA’s new direction turning away from local art and artists—especially given the general sense of its upcoming exhibitions being much more FAMSF rather than what I’ve gotten used to at SFMOMA—I have to give them props for putting on a show which couldn’t possibly be more local. Took my second trip to Pier 24, this time to see their Grain of the Present exhibition. Pier 24’s shows are so expansive and generous with the amount of material from each artist that I find it difficult to write about the show in general. Too many directions to go and things to think about. That said, most of the photographs on display do reflect a sublime sense of photography as a reactive, perceptive medium. Rather than being previsualized images, we see the products of the photographer recognizing something they liked and finding a way to get the shot before the moment passed. At their best, the resulting photos both show each photographer’s unique point of view and help us learn more perceptive ways of seeing the world around us. The highlights especially deserve to get mentioned individually. I’m just going to go in alphabetical order. For Robert Adams they had a selection of his Prairie shots up. Adams is in this show because of his involvement in New Topographics but instead of looking at any New West of suburbs and development, we got to see effectively pre-suburban living. Same eye but a very different feel. Time’s stopped. Hope remains. There’s something elegiac because we can sense the decline coming. Lewis Baltz meanwhile continues being arguably my favorite photographer. I’ve never seen all of Candlestick Point before and I’ve very glad I got a chance to do so here. Being able to explore the photos in a grid is a wonderful way to explore the work and feel my way around both the location and the images. There’s so much sublime subtle stuff going on with the light and the shadows and reflections. LaToya Ruby Frazier is probably the highlight of the show. I love the mix of scales and subject matter. Her family photos are small and intimate and feel incredibly personal. Yet at the same time I’m reminded of watching my grandparents age. Her cityscapes are completely different. Large, detailed, inquisitive, showing aging buildings and disappearing industries. And they work perfectly with the family images. The big photos need to be big. The small ones need to be small. But in all cases the images are keenly seen and personal. Lee Friedlander’s Little Screens are hilarious. They’re very much of their time in terms of the hardware, furniture, and tv shows shown. But they’re also entirely suggestive of our screen addictions today. It’s one of those simple ideas which could come off as either a trite gimmick or heavy-handed snark but instead Friedlander’s treatment reveals the humor of how we just shove the TV wherever it fits in a room yet it still becomes the focal point. I enjoyed Ed Panar’s work and how he keeps returning to the same subjects. While many of the galleries emphasize the idea of being receptive to images when you’re out and about, much of Panar’s work can be seen as recognizing that something as imminently familiar as the view from your front porch or your daily walk is also always changing and will occasionally present itself as a photo worth taking. 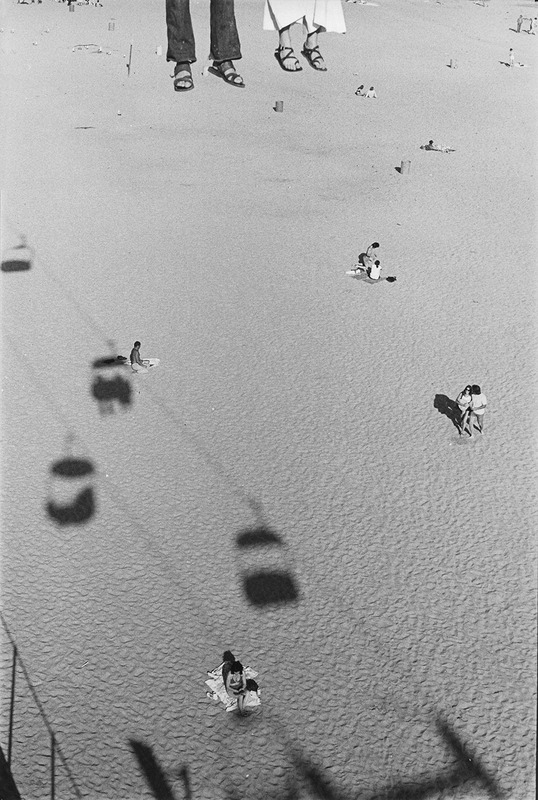 Henry Wessel is also always great and I was very excited to see his photo of Richmond again. It was one of my favorite things in the new SFMOMA yet I couldn’t find an image of it anywhere online. I’m glad I got a second chance. Wessel, probably more than any other photographer in this show, fits the description of someone who’s out there just finding photographs with his camera. I know there’s more to it than that but there’s a certain casual grace in his shots that I both admire and envy. He’s neither super-precise nor is he consciously rough. The light and tones are always this perfect combination of having a slight low-contrast glow while still popping crisply off the page. And his sense California reminds me of home—especially now that I live in New Jersey. 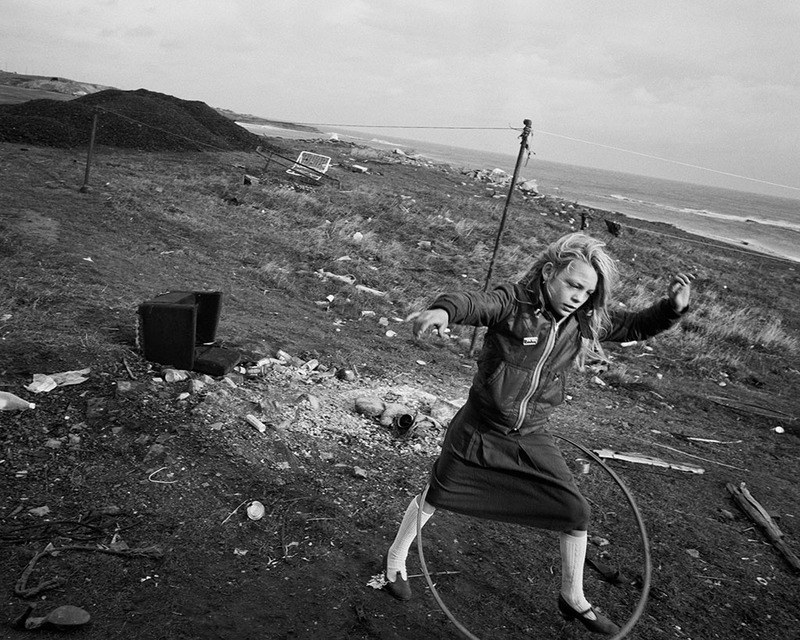 And Vanessa Winship. I like her very much. Her work, especially her portraits, also has a certain grace about it. It’s much more precise than Wessel but there’s a gentleness in the images where I don’t feel like I’m being prompted to gawk at anyone. I didn’t include Diane Arbus or Stephen Shore in the highlights because, as great as their work is to see in-person, I’m already very familiar with it. While all the older photographers in the show were selected because of their association with New Topographics or New Documents, only Arbus’s and Shore’s work has a massive overlap with the images displayed in those two exhibitions. That said, Arbus is a nice example of how being receptive to a photograph doesn’t mean grabbing a snapshot and moving on. Arbus’s portraits are keenly seen in terms of how she chooses her subject. That the resulting images are part of an impromptu portrait session doesn’t diminish their spontaneity. Each photographer draws inspiration from the ordinary moments of life, often seeing what others overlook—and showing us if you look closely, you can find beauty in the smallest aspects of your surroundings. Some of the photos on display though just didn’t fit the concept of the show for me. Some may ask us to look closely and see what other people may not see. But they’re not really ordinary moments. Others are indeed ordinary moments but do not show us anything novel. Note, this doesn’t mean that I think these photos are bad, just that, within the context of this show, I wasn’t feeling it. First, Bernd and Hilla Becher. I love them and their typologies and can sit in a room full of those photo grids for hours. But there’s no sense of moment at all in the photos. Nicholas Nixon’s Brown Sisters is sort of similar. It’s a project I adore and am already steeling myself for when it devastates me—it’s guaranteed to eventually devastate me. And it does capture an ordinary moment. We all take family photos and can relate to the truths within this project. But this particular project has always been clearly much more than a mere family photo in both the repetition and the collaboration between all five people involved in its production that it feels out of place among the rest of the projects on display. I feel a bit bad putting Awoiska van der Molen’s work here but I just never got the sense of moment at all from it. Her photos are nice enough and, in a different space with a different context,* may have moved me. But in this space, they felt like a more academic exercise amidst photographers who were working on a much more intuitive level. *The Pier 24 no context thing may also have served her work particularly badly since her titles and descriptions are just as vague. And Garry Winogrand’s Women are Beautiful was the exact wrong photo series to choose. Yeesh. I’ve tried to rationalize my feelings about it in the past but I also don’t think I’ve ever been subjected to the entire set. Caille Millner is right. It’s creepy and intrusive as all hell. Yes the ice cream woman is a great photo. As is the LaGuardia bar photo. As are a few others. But the rest? Good lord. For most of those photos there are literally only two reasons why he triggered the shutter. And they’re usually braless. To include those in an exhibition of “see what others overlook” is either hilariously tone deaf or an ironic joke doomed to fail due to Pier 24’s lack of context. 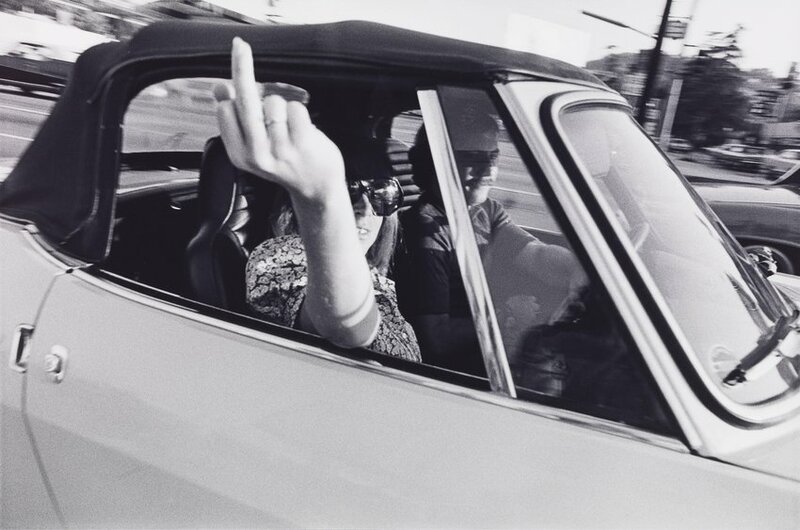 Winogrand deserves better than that. I would’ve been filled with joy had it been The Animals which got selected. The first room of this exhibition included a sample from every photographer in the show. It was immediately apparent who the new photographers were compared to the old ones. If it’s printed huge? New photographer. If it’s a nice small size? Old photographer. New photography is hug both because new art is huge and because digital technology allows for photography to be printed huge. I don’t like this tendency and feel like it frequently gets in the way of the photos. It’s probably no surprise that the two new photographers whose work I really liked had a mix of small and larger prints which gave me the impression that they’d really considered the optimal size for each image. Alec Soth’s Niagara is a series I’m familiar with but which I’ve never seen in person. I like it better as a book. The giant wall-size photos of the falls and the hotels work ok. Still too large but the geometry of the hotel architecture gets abstracted nicely at that scale. The portraits though are kind of monstrous. I find myself wondering if the sitters realized their nudes would be larger than life and if Soth intended for us to gawk at them. It’s not an empathetic scale. Eamonn Doyle’s i suffers similarly in that it feels both intrusive and, rather than inviting us to look closely, enlarges everything to the point where subtlety gets lost. I was dubious as it was about whether his cleverness was enough to sustain a book. It definitely doesn’t scale to giant-size images. Sometimes a clever idea only works at a small scale. I can see these working fine arranged as small prints on a single wall the way that Winogrand, Friedlander, and Baltz were displayed. And holy moly Women Are Beautiful would be an order of magnitude creepier if it were printed at modern sizes. A few random comments and observations which don’t fit with the rest of this post—many of which refer to specific things I’ve not seen before. While the lack of context information at Pier 24 doesn’t bother me too much, I do find myself being dismayed by the absence of any process information too. I think it’s important to know what kinds of prints we’re looking at as the distinct photographic printing processes all result in different kinds of objects. The grid of color Wessel photos! Not something I every imagined and definitely not my mental conception of his work. I was amazed that they kind of amazingly had the same light and contrast as his black and white photos do. How does he do that? I have never seen non-typology wide Becher photos before either. I like that they still include typologies in the frame. Also, looking at their grid of spherical tanks makes me want to shoot a typology of soccer balls for all the different patch tiling. San Francisco is full of “Summer of Love” celebrations right now. That Arbus’s Boy with Straw Hat is ALSO from 1967 is a bit of a coincidence but also felt like a wry joke at how it feels like the summer of 1967 has become a myth about peace love and happiness reigning unencumbered by war or racial inequality. And back to Baltz’s Candlestick Point. As much as I enjoyed the entire set I also couldn’t help shaking the feeling that I must’ve parked in a few of these locations. Candlestick’s overflow lots were dirt and occupied a lot of the land that Baltz was photographing. Many of the images felt familiar to me as places which I walked through before and after Giants games with that oddly hot and direct mid-day sun or the brutal cold wind which whipped up in the afternoon. There is but one Ocean though its coves have many names; a single sea of Atmosphere with no coves at all; the miracle of soil, alive and giving life, lying thin on the only Earth, for which there is no spare. I often find myself wondering whether the old style of environmental photography is still relevant. I’ve been tempted to read it as more of an epitaph than a call to action, but taking in San José’s Fragile Waters show has me realizing there’s still a place for it. Ansel Adams is obviously the big name but it’s the combination of Ernest H. Brooks and Dorothy Kerper Monnelly and the way they expand on the Adams’s body of work which is most interesting here. There are many similar views—not the same, just similar enough to notice the familiarity in perspective—which work together to show how all water is indeed connected. Their work hops from coast to coast and ocean to ocean yet in each location, while the photos are different, the perspectives are the same. This is a good thing. The way we value water is the same everywhere. The way we need water is the same everywhere. The way we commune with nature is the same. Everywhere. Water is so dynamic yet in all these photos it’s still and frozen in time. The photographers spent hours waiting for the right light or composition but that they also were just out in nature matters. Where Adams is clearly focused on working the scene and creating an image and making his point, Brooks and Monnelly are much more zen about things. Specifically, there’s an underlying theme in their nature and environmental photography as being a means rather than an end. That a successful photography session is one which results in you feeling refreshed from being in the presence of nature. That the actual image itself makes no difference to whether you’ve succeeded. It’s this change in perspective which makes their environmental photography so much more effective for me. Whereas the “see this pristine wilderness before it’s ruined” type of photography doesn’t do it for me, “this is the evidence of my time in nature” does. I can feel the mindfulness of it and the way that it emerges from the experience of just being. That the perspectives are similar and the experiences are similar suggests our shared humanity and relieves a lot of the selfish concerns I have about my own photography. A lot of the photos on display remind me of my own work. This could easily be cause for despair but it’s okay here. I’m not consciously mimicking anyone’s images, I’m just following the same process. My photos are different in that their part of my own experience just being in nature—whether it’s an isolated lake in the High Sierra or a artificial pond in an industrial park. They’re what I saw and the more important thing was that I got outside and away from everything else. They speak to why it’s so important to preserve nature and natural spaces. Yes, conserving them for the survival of other life is important, but we need them for ourselves and our sanity too. It’s easy to forget how important it is to get away and just take a walk. Get out in trees or along the water. Watch the wildlife. Play chicken with the waves. Touch the earth. Go for a swim. “Old topographics” nature photography like this serves as a reminder to get off the computer and get outside. Their environmental message is that reminder that we need to do this.. The epitaph and elegy reading is still strong though. Monnelly has a number of beautiful photographs of winter ice captioned with the sentiment about how melting ice represents the return of life. This is indeed the traditional reading. However since Brooks’s photographs of Antarctica are in the same gallery, I was struck by the irony that melting ice also represents the beginning of the end. It’s one thing to see and be reminded of how we all see and react to water in similar ways. Ice though is much more divisive. Many of us dislike it and celebrate its annual disappearance. At the same time, we need it. It’s what California depends on for its water and it’s a ticking time bomb as it melts in the North and South poles. As an underwater photographer Brooks is very interesting to look at from a technical point of view. His equipment is incredibly important to his work and it’s very obvious in looking at how his prints go from traditional to digital that we’re watching him make the transition from film to digital too. I love that he’s committed to shooting in black and white even with a digital camera. I also like how mixed his subject matter is. Animal portraits. Abstracts. People and their presence in the water. Underwater requires both more awareness as to what can make a good photo and the ability to react when it occurs. His switch to digital also appears to have opened up some above-water subject matter to him. His ultra wide clouds and Infrared Antarctica images are also good and with their emphasis on the sky, are very much in keeping with the way that many of his underwater photos treat the surface of the water. I also especially enjoy the way the infrared shots interact with Ansel Adams’s red-fltered skies. Unlike Brooks she very clearly has her equipment settled. Like Brooks she spends her time just in nature, revisits similar subjects and lets the photos come to her. I like her work a lot. Despite much of it being East Coast instead of West Coast her approach just speaks to me. Her photos of marshes and shores feel like she’s making the same walks every day and really knows the lay of the land now. What to expect. Where the best location are. And as mentioned before, her photos of ice and snow are beautiful in how they capture how dynamic and sculptural their formations are. I also love how frequently her work is gloriously low contrast. Brooks and Adams tend toward using the full range of tones—often with extreme black skies or backgrounds due to filtering in camera of because of fall-off due to the water. Monnelly though thrives on the fog and mist of early mornings and is smart enough to embrace all the wonderful midtones that result. There’s not much to say about Adams. I know his work. We all know his work. I did find it odd though that there were two different prints of his Point Sur Storm photos yet the museum didn’t flag that they were from the same negative or comment on why both were on display. One was labeled 1946 and the other 1948 but nothing indicated that this was a printing date. The 1948 print is larger and has had its contrasts reworked a bit. Slightly higher contrast overall and some of the shadow details are gone due to no longer being held back. The digital image here of the 1946 print is also higher contrast than what’s actually on display but you can see details in the lower lefthand corner which aren’t there at all in the 1948 print. I’m used to Adams revisiting negatives decades later but in this case it feels more like he’s working through how he sees this negative. Given the way that this show leans in to the Adams name—there’s also a display of his camera—I found myself wanting to know more about his process. 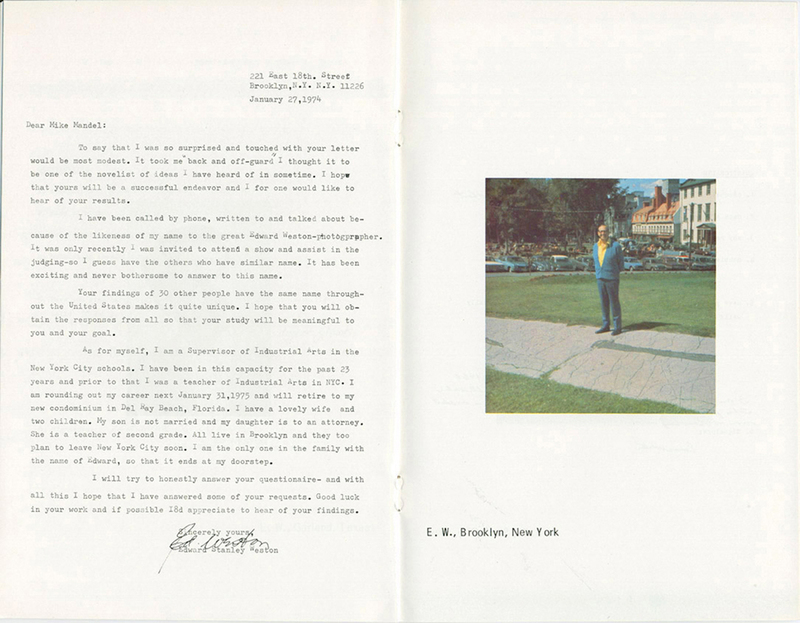 At least we got to read a wonderful letter about juvenilia photo (also on display) which gets into how much work Adams put into his photography. It’s very different from the mindful experiential process that Brooks and Donnelly practiced but it’s great to see how considered everything is.